I'm back from Sheffield, where we went for just one day to see Nick's film. And, well! In my mind Sheffield had been a place of blackened stone and brick, with a certain gloomy period atmosphere. But when I got out of the station - wow! Where were the tatty car park and derelict old buildings I remembered? Instead, a reflective wall of water, glimmering with colours, sweeping in a great curve up the hill. dwindling to a quarter of the size at the other end - an ingenious optical illusion. On the hillside beyond, the windows of once notorious, now partly renovated Park Hill Estate glittered with jewel like colours. Now Sheffield Hallam University buildings surround the station. Not all of them are very beautiful but - they have tried. We climbed the hill into town, following a mysterious mosaic channel which I suppose was meant to be filled with water - wonder why it wasn't? The place was hung with film festival banners, and we passed an outdoor screening of interesting vintage documentaries. Incidentally, that wasn't the only building I saw with a face painted on the side. Quite surreal. Wonder who he is. Some vintage Sheffield celebrity? Do you know? 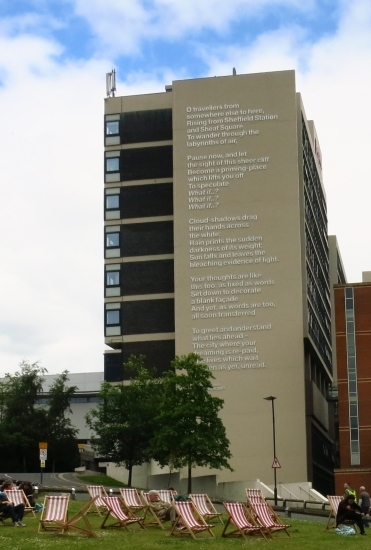 And on the wall of a large ugly block a poem welcoming visitors to Sheffield by the Poet Laureate Andrew Motion. Great poem. Click the link to read the text. I don't know what the rest of Sheffield is like,and secretly I would like to think that there is still a bit of grand, gloomy Victoriana somewhere, but I like a city that presents an artistic face to the world. There is a vibrancy, affluence and liveliness now that there certainly wasn't before. So I'll come back and have a better look around, but, as I said yesterday, we were going to see a film featuring a relative, Nick Woolf. Nick is a retired astronomer, and fifty years ago, he took a road trip across the American southwest with some English friends, a couple of tents, a Union Jack and a wonderful old car. That is him lurking on the left. In those days, war-exhausted, impoverished Britain offered a great education but not much in the way of opportunities, and several of the young English astronomers on the road trip went on to have careers abroad, although a couple did become Cambridge professors. The others stayed in America, where the study of space was starting to take off in a big way. In the documentatary Star Men, the survivors retraced their road-trip footsteps in a way both touching and quixotic, tackling alarming desert hikes and reflecting on how their work in trying to unravel secrets of the infinite universe has shaped their views on the inner and outer life, what you know and what you'll never know. I found the film a complete eye opener. I'd really come to support Nick, but actually I have never been particularly excited by astronomy, so I'd probably never have seen this film if it hadn't been for him. Which would have been my great loss, because I was absolutely gripped. Not only the stunning visual images - in particular a time lapse sequence of countless stars whirling about remote Rainbow Bridge in wildest Utah - go here for a mere still photograph and then imagine it in motion. I also loved the curious synchronised time-lapse swooping ballet as the elegant dishes of the Very Large Array at the National Radio Astronomy Observatory turned to invisible signals. 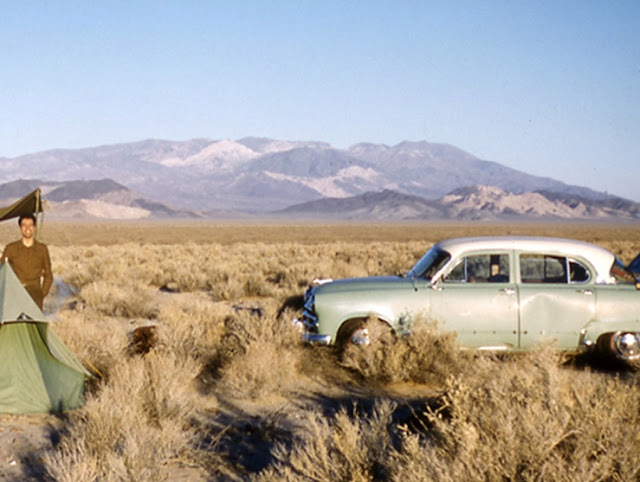 [credit http://ircamera.as.arizona.edu/] Much of the film was set in an otherworldly desert landscape on the edge of human life. Most of all, the film's artistry helped me to see just what is so fascinating and compelling about the study of the stars. I feel I now have some understanding of why we do need to study them, consider them. To put ourselves in perspective, perhaps, to aspire to impossible tasks, to unravel enormous mysteries. All these thoughtful and intelligent men were full of ideas and curiosity, not least on the subject of death and endings, which, at their age, preoccupies them more and more. Even though they see themselves as mere specks in infinity, and even though they all have brains at least the size of Jupiter, I was interested to see that they hold very different views on religion. There was a discussion at the end of the film, Nick,(the tall one in the middle) two of the other professors and the director, Alison Rose, went up before the audience for a Q and A session. Someone asked Nick what he thought of his portrayal in the film. "Well - it looks like me. It sounds like me," he said. "And,actually - it is me." What a tribute to Rose, I thought. I left the screening on a high, I appreciated the chance to see a documentary made with artistry, passion, curiosity and respect for its subject. No dumbing down, no flattery,and, if there were any pressures from politicians and bean-counters, Rose managed to keep them out of the film. Star Men will do various festivals and then come out on DVD. I think its makers, Inigo Productions, are planning to offer it to the BBC. The BBC is still the best place to try and show good work, so I hope it finds a home there. And I have put in my diary to attend the Sheffield DocFest next year. Maybe I'll have the chance to see more of Sheffield then! Come to think of it, I would love to revisit the American southwest. I did quite a bit of work there in years gone by, and I miss those amazing landscapes. I envy those of you who can get out into them sometimes, to feel the desert wind and see the huge horizons. Sheffield certainly looks modernised, and not what I would have expected either. Love that mosaic channel, which surely must run with water on a good day! Perhaps it is connected to the Wall of Water? As our Public Broadcasting Network often features documentaries from the BBC, I will look your relatives film in the future. Please let us know if and when BBC releases it. I have only visited the southwest once and it certainly is a trip worth returning. The sights are amazing. From Sheffield to Utah - quite a journey you have taken us on! thank you for sharing, it looks like a great transformation! of course dark and gloomy might also be appealing for a short time. How interesting! I have always found astronomy so fascinating. You are right, the desert is a stunning place, and to see it at nigh when the stars are out is truly lovely. Will look for this DVD. Your life seems to be a beautiful adventure. So polished and enlightened. I do laundry. sigh. So, I'm trying to guess which one is Nick and I have to conclude it is the one who is smiling right at your camera. I'd love to hear more about your work in the American southwest! This film sounds very interesting and I hope somehow it makes it across the Atlantic one of these days. The universe, the stars, all that astronomy stuff, is endlessly fascinating and wonderful! Actually Nick is the second to the right, taller than the others.Maybe I should identify him. I do hope the documentary makes it to the US too. Alison Rose is Canadian, in fact. Growing up in Arizona you see stars, stars everywhere, The night sky so dark and then your eyes start picking out more and more stars, planets and the moon so bright. When you live in the city or along the coast you never see what is really up in the sky. I grew up in the Southwest and it gets in your soul. Big sky big open spaces, the colorful landscape the quiet ! I am so happy to be back here. As much as I love the cities I have lived in their is something about the desert. If I hadn't gone into the arts, I wanted to study the stars. I would love to see this movie. I hope PBS or Netfix will be able to show it. Sheffield looks wonderful. I love when a dying city fights back ! Interesting and intriguing work in the town. I like when artists can find a place to show off their stuff. It is fun when someone's enthusiasm rubs off o us! It's years since I last went to Sheffield - looks like I need to go back. And such a contrast to the wide open spaces of America. But how wonderful to know you are related to such an intrepid man! I pray the BBC snatches up this documentary so we can see it eventually over here in the states. Love that they have changed up the city, but large faces have always been a tiny bit creepy to me--LOL! Wonder who he is? Comparing the old photo and the new, I must say, your Uncle still is himself. 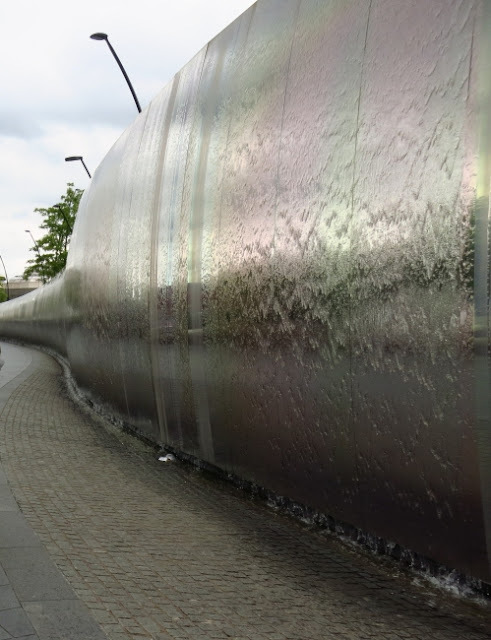 Sheffield is incredible for the transformation you describe. I wish all the water art were functioning. As for the western sky, that is what it looks like. Pitch black, and then all the brilliant stars, but sill pitch black, as in you can't see your hand before your eyes. Sheffield's railway station is really rather nice isn't it? I've never noticed the mosaic though, I must look for it next time I'm down there. The film sounds fascinating, do let us know when the DVD isreleased. The face on the wall is that of Harry Brearley the inventor of stainless steel. He was born in Sheffield , the son of working class parents, and worked in the steel industry all his working life. 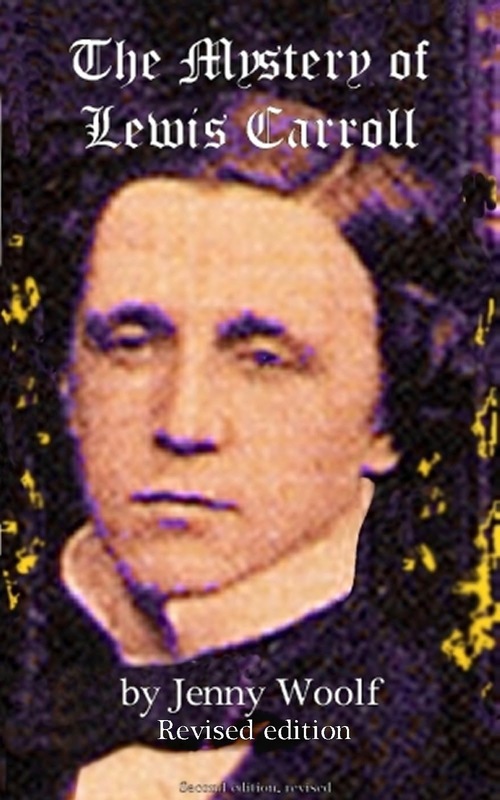 He started as a labourer at the age of 12 and ended up as a director of Brown Bayleys one of Sheffield's major steel works. Yes - about the man on the wall near the station - Rowan beat me to it. Next time you use a stainless steel utensil think of Harry Brearley. Perhaps city centres are like capital cities. To me London is nothing like England, not representative at all. Similarly Sheffield city centre says nothing about our lovely suburbs - Broomhill, Ranmoor, Ecclesall, Hunters Bar, Nether Edge, Whirlowdale, Norton, Stannington etc.. It also says nothing much about our most deprived urban areas - Longley, Parson Cross, The Manor, Low Edges etc..Did you know that large swathes of western Sheffield are actually in The Peak District? We are very close to some of the most eye-catching and varied countryside in Great Britain. I hope the documentary can reach a wider audience if the BBC take it up. I'm glad that your impression of Sheffield on your revisit was a good one. 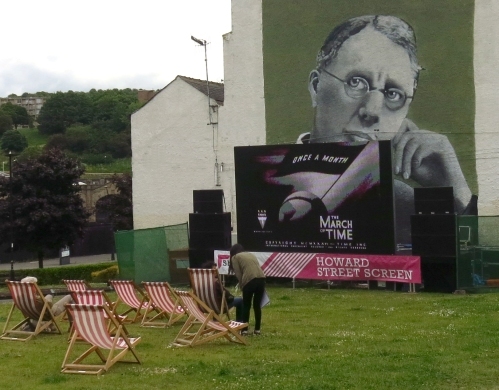 The Harry Brearley mural was covered by a screen, which was a shame as it's rather good if you can view all of it. 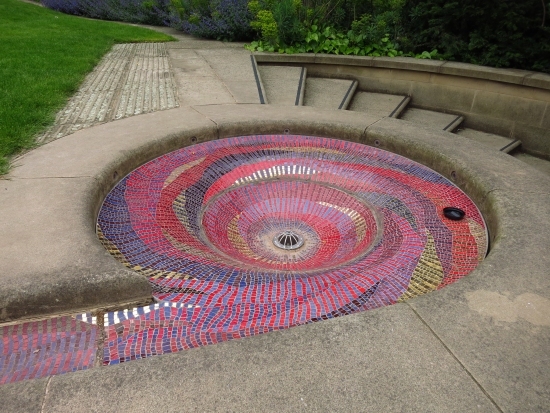 The mosaic which is supposed to represent molten metal does indeed usually have water running down into the plughole from the volcano-like fountain at the top of the lawned slope. It looks impressive lit up in the evening. There's plenty of old Sheffield still to see such as at Portland Works and Kelham Island Museum so I hope you can return and see more. I feel quite proud of my adopted city. It sounds like an interesting film. I'll look for it on DVD. Astronomy always fascinated me. If i were better at math, i might have tried to study it in college. It's wonderful to hear that this film is so well done, i'll be sure to look for it. It could be Mr. Steel on the wall in Sheffield!! That sounds like a very interesting doco. I have a friend who would like it very much, so I must tell him about it. Glad you liked Sheffield and did not see the shabby parts that I remember from last summer. The documentary sounds like something I definitely want to watch. How wonderful to have a relative who was involved in all that - I'd love to talk to him for hours on end! Astronomy and space travel are on the top of the long list of things I am interested in. I recently had to do a bit of research on my family history. Surprisingly, I found out I'm mostly English. I don't know why, but I really like that plughole. Wow, that was a wonderful write-up on Star Men. I sure hope your relative is very appreciative, and if he is, don't forget to send me my cut. So Sheffield isn’t quite as gloomy as you (and I) assumed. 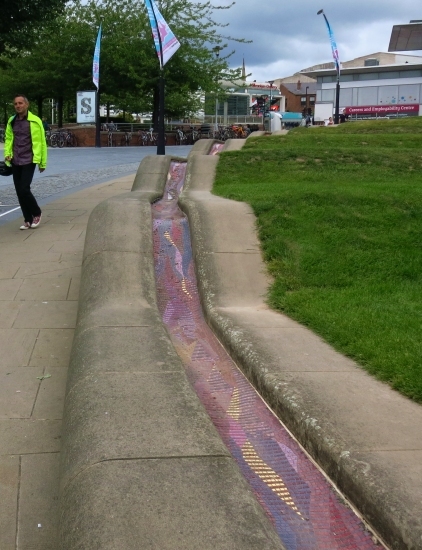 I like the mosaic channel, perhaps the colourful pieces are meant to represent water? Congratulations on your eminent relative and the appreciation he received for his work. I hope the BBC will show the film; I agree with you that the very best in documentary making is shown on the BBC - enough reason to keep it going. I like the idea of a poem on the side of a building. Belfast and other cities, please follow suit! Astronomy leaves me completely cold, but perhaps like you if I saw the film I would begin to understand the fascination. Fascinating post. 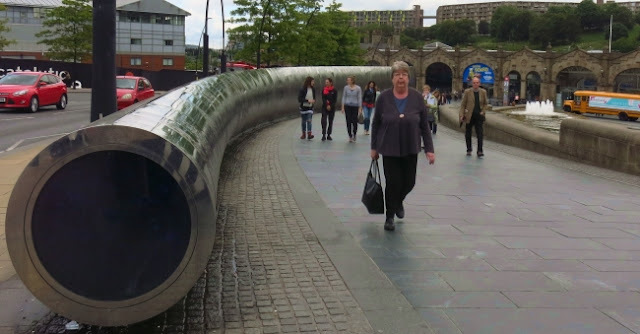 Like you, I was impressed by Sheffield on my last visit - didn't spot the plug-hole, though! As for 'Star Men', I can see I need to keep my eyes open for it. The answer, of course, is 42. Hi Jenny, not sure if this will make it to any of our US film fests, or ones in our area, but it certainly sounds intriguing and like something I would enjoy. Maybe if it goes to the BBC, it will be on PBS here and I'll keep you posted! Isn't it wonderful to discover that things aren't like you think they might be? First, Sheffield has evolved into an art area and wasn't the dingy spot you remembered. Then the film was actually intriguing and your attendance became as much to enjoy and learn as to support! It sounds like a most wonderful trip in many ways and your photos certainly show the energy and fascination you experienced! With streaming, it will likely get here in some fashion. May even show up locally, here in Utah itself. We need to drive a few hours south more often. I love it when a town turns itself around and manages to incorporate art into revitalized spaces! I'd be interested in the documentary with your relative, too. Nothing like taking a look into space to make you realize how insignificant we are, and how awesome it all really is! I hope the BBC takes an interest in the film so that perhaps I can see it on Canadian public TV. It's nice to see that Sheffield has been spruced up, although I know what you mean by hoping there is some Victoriana left somewhere too. Fascinating. Doubtless you will let us know what happens. 40 years ago the Outer Hebrides was a haven for stargazers too but now we seem to have streetlights everywhere. I'm sure that I wouldn't recognise Sheffield. I don't think I've been there for more than 40 years. Even on Lewis, streetlights everywhere. That's a pity. Well, for stargazers. Perhaps better for residents though. ! I think I'd prefer the southwest to Sheffield! Studying the stars there would be a wow indeed. Clear nights, good area to view. Sounds like a decent documentary for a change, well worth a look. How wonderful for you. And there shoud be more poems on the walls of ugly buildings. You went to see a film and discovered a changed city. The film sounds so interesting. I hope it finds its way to the BBC and then to us here in the U.S. I have visited parts of the Southwest here and find the views breath taking. Can't imagine being a pioneer and crossing those lands though. What a gifted and interesting family you have, Jenny. I was also rather dazzled when coming out of Sheffield station last year. Sheffield is a wonderful place, was there many months back. Very artistic! Thanks,Mo. I knew that there had been a project but didn't know that so much had been written about it - and photographed. 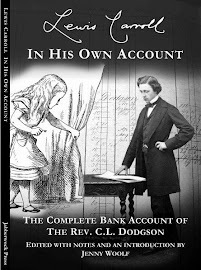 I meant to let you know in my previous reply that there as an interesting article in The New Yorker last week on Lewis Carroll. I know you're an expert! :-) Maybe you will find it as interesting as I did. A few aspects of his life I didn't know about were quite revealing to me. Enjoy your weekend. Thanks for thinking of me - and sorry for the late reply. I will check the article out if it is still online. There's SUCH a lot about Lewis Carroll and Alice this year...and some of it is very interesting. The documentary film “Star Men” sounds interesting, and I like to call those who are in love with and have devoted their lives to the research of stars as “Star Men”. If I could have such a nice relative as yours, I’d like to listen to him over meals or tea in a relaxed way. I’m genuinely fascinated with the beauty and mystery of the universe as one of numerous stardusts. Which is taller, Tony or Nick? This is my first glimpse into Sheffield. If you felt the city had gotten revitalized, that’s a nice change, Have happy days ahead. Thank you Yoko. Nick is very tall. His son is even taller than him. I can imagine that you are particularly fascinated by the stars because of your screen name, and also because what you have said about your philosophy of life. We are indeed tiny, yet we are also necessary, in the universe. Hope that documentary plays here in the States. Wow Jenny - always fun to visit your blog. It was interesting to read your take on Sheffield - it certainly sounds different to your memories of it. Love the text on the building, and the mosaics! I look forward to seeing the film. It sounds fascinating. My brother lives in Yorkshire so I've seen the gradual changes to Sheffield. They've done a great job. Star Men sounds fascinating, hopefully the BBC will release it on DVD then? That water line is pretty cool in all its colors and definitely the plug whole too. 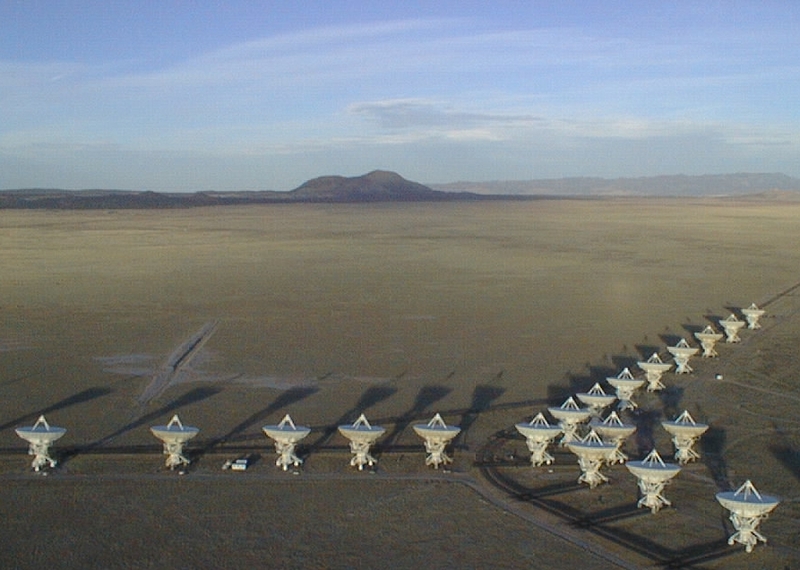 satelite dishes. The signage. I love it. I gotta take me a walk today.